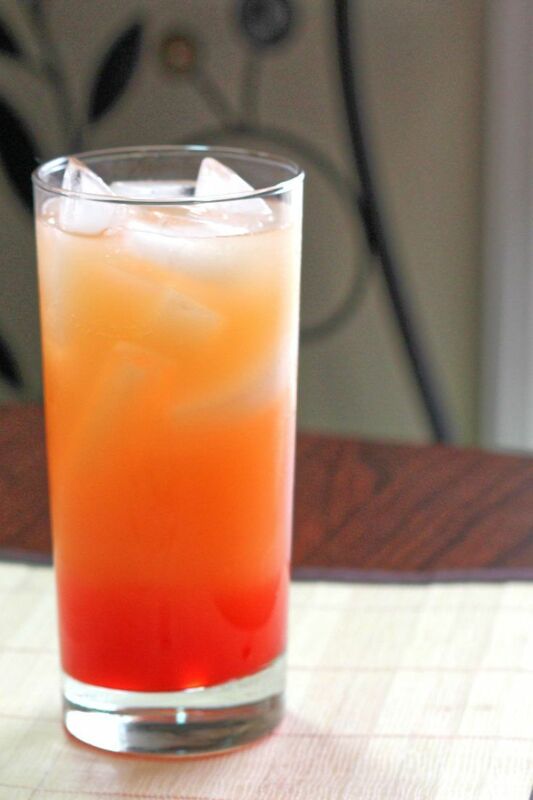 The Vodka Sunrise drink recipe is a lot like the Tequila Sunrise, only with vodka instead of tequila. Or you could think of it as a Screwdriver with a healthy amount of grenadine added in. 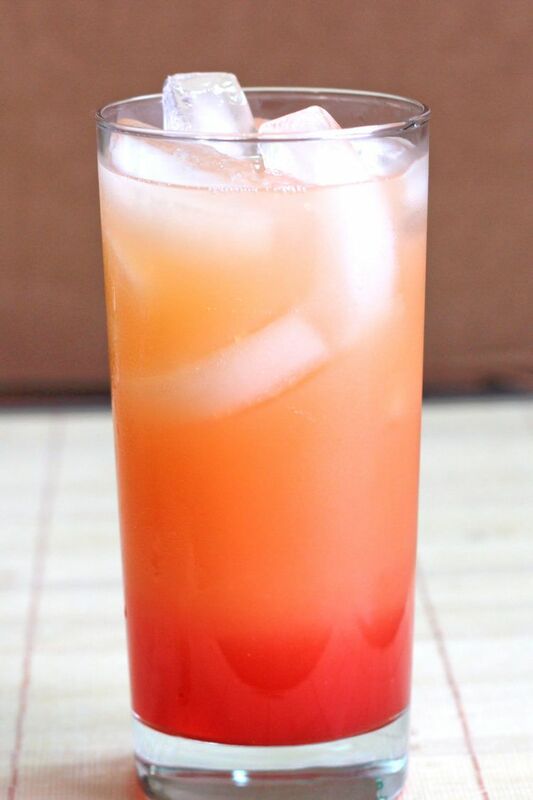 The Vodka Sunrise blends vodka with orange juice and some grenadine to give it a berry flavor and the gorgeous sunrise effect. It’s a simple, beautiful drink with an easygoing flavor. It’s sweet and fruity, and the vodka adds no particular flavor of its own. You can easily serve it to guests, which makes it great for entertaining. Just mix the orange juice and vodka in a pitcher beforehand. Pour it into glasses before the party – and again, as refills are needed – and then add the grenadine. In fact, this one is so easy, you can actually let guests serve themselves. Just set out the pitcher of vodka and orange juice and a bottle of grenadine. If they’re not familiar with pouring sunset drinks, just tell them: the trick is to pour the grenadine straight down the middle. When grenadine is this prominent in a drink, it can be worth it to buy a higher quality bottle like Liber & Co. Handcrafted grenadines are fresher-tasting and less goopy (no corn syrup). The fruit flavor comes through more clearly in a better quality grenadine, too. Making it in small batches without corn syrup gives it a nice complexity. You can also make your own grenadine if you’re feeling fancy. Making your own mixers can be a lot of fun, and you can get the flavor exactly the way you like it. This is a very tasty drink that’s actually quite light on the alcohol. That makes it a good choice for breakfast or any occasion where you prefer lighter drinking. It actually makes a great brunch cocktail. It’s got lots of fruit juice, it’s not particularly strong, and it goes with most any breakfast or brunch kind of food. Think of it as an orange juice upgrade. It’s great with a brunch of anything from fruit to waffles to almond croissants. And bacon, sausages and all the rest. If the Vodka Sunrise isn’t strong enough for you, you can always bump up the vodka by a half-ounce or even an ounce and reduce the orange juice to make up for it. This is a great drink for those who just don’t like the flavor of tequila. It’s basically the same drink with a different liquor – and a slightly lower amount of alcohol. 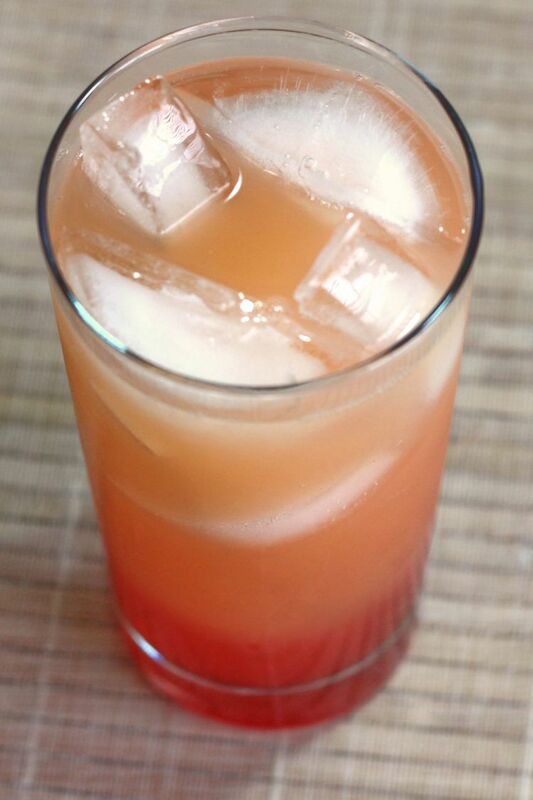 But it also makes a delicious change from the Tequila Sunrise, even if you love your Tequila Sunrises. The fruit flavors come through more strongly in this one because the tequila isn’t there to compete with them. Sometimes simple cocktails are the best. 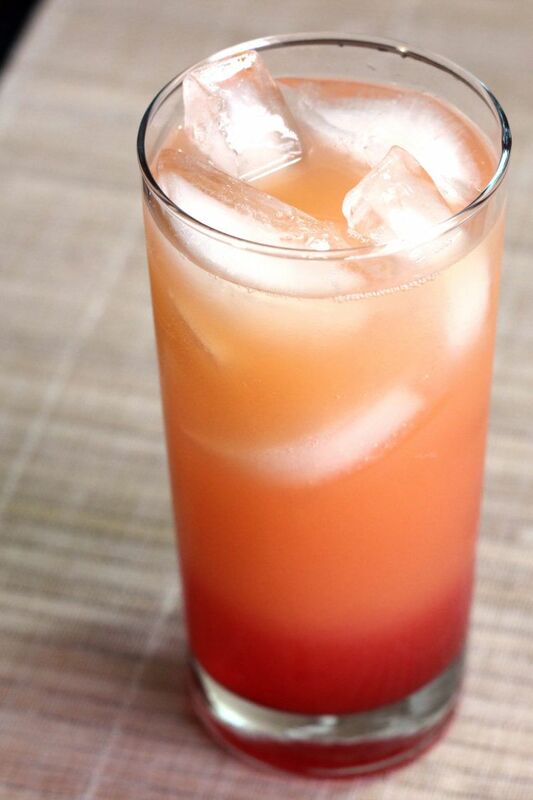 The Vodka Sunrise has an easygoing orange-berry flavor that’s hard not to love. And the alcohol favor isn’t strong. It’s also easy to make – even when you’re tired at the end of a long day. It makes a surprisingly nice drink before dinner. You can’t beat it on a hot summer afternoon. It’s also perfect as a drink to unwind with after work. The easy flavor is combined with some sugar to get you going again and some vodka to take the edge off. 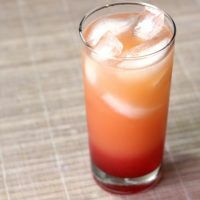 If you like this drink and you’ve already tried the Screwdriver and the Tequila Sunrise, check out the Executive Sunrise. It uses creme de cassis instead of grenadine for the sunrise effect, and gold tequila instead of white. 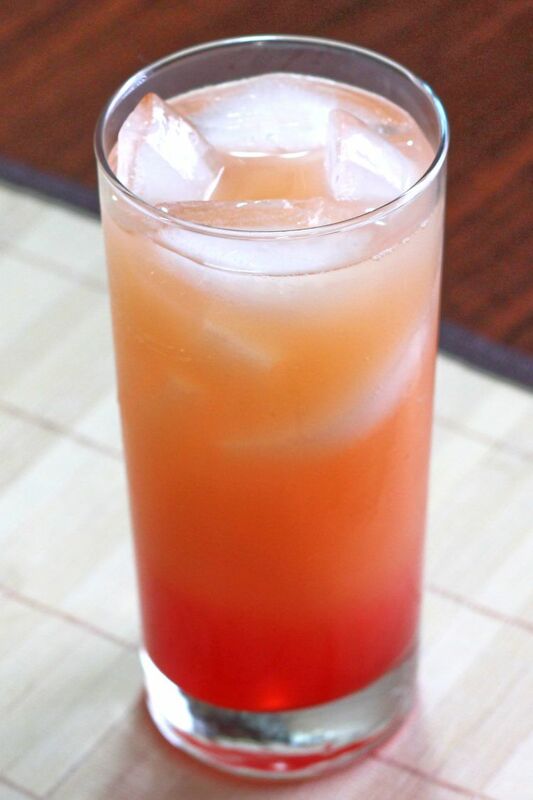 The Vodka Sunrise cocktail is just like the Tequila Sunrise, but with vodka in place of the tequila. That makes it a nice alternative for Tequila Sunrise lovers, and a great replacement for those who don't like tequila. Put some ice into a highball glass. Pour the vodka and orange juice into a highball glass. Pour in the grenadine syrup. Hi Frank, I’m not sure what you’re asking? There isn’t a bottled version of this drink. If you’re asking what type of vodka I use in it, I usually use something like Svedka in a cocktail with this much orange juice because it can smooth out almost any vodka (and Svedka is actually reasonably smooth on its own). I like this one better than the tequila sunset because I dont like tequila that much..